Um, we don’t know about you, but we definitely have a little crush on Christmas. Actually, it’s kind of a big one, so we decided to get some of our holiday jitters out by showing you one thing we’re extra excited about! Sure, we know it’s only October, and, no, we’re not skipping Thanksgiving. Don’t worry—all of that goodness is still to come. We just know December is a month that will sweep you up in flurries of Christmas lights and wrapping paper and then, come January, drop you in a pile of memories, feeling breathless and completely exhausted in the most wonderful way. Once it’s over, it’s difficult to recall exactly what all of those glittering December moments were made of. We can remember that they happened and we remember they were wonderful, but the details tend to get a little fuzzy. Behind the adorable Christmas tree of this wire-bound book, you’ll find 30 pages in mixed styles, measuring 8¼” x 6½”, as well as multiple page protectors that also come in different styles. Keep reading for tips on how to turn the pages of this book into your personal holiday mini album, so the details of your December will remain crystal clear. Click on any of the photos below for a closer look. The My Crush™ Holiday Happenings assortment has the perfect mix of cards and stickers. Try adding tabs to the sides of your pages for a little variety. Here we’ve backed two tab stickers together to achieve a different design on each side. Including pieces of the season, like gift cards, will bring back specific memories. You’ll love looking back at these odds and ends of life! 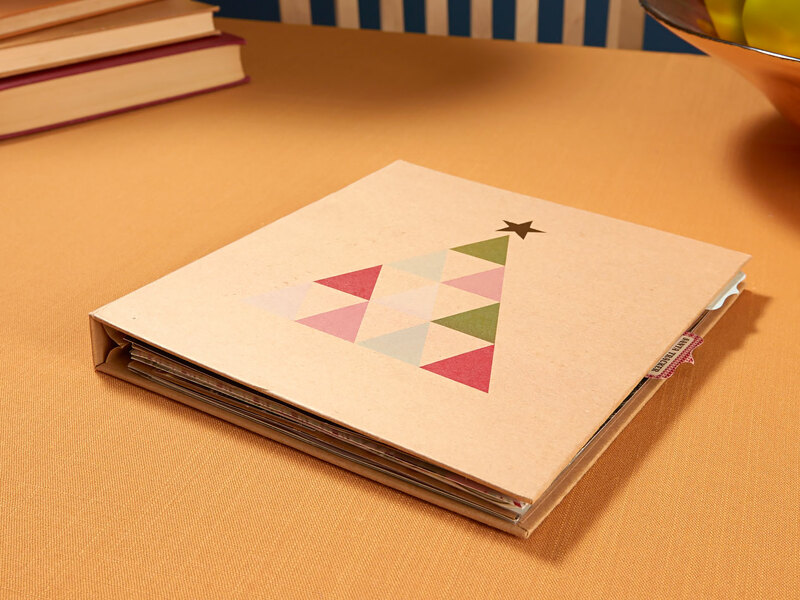 Save bits and pieces of seasonal goodness for your book that are unique to the holiday season. Here’s a bit of “junk mail” with a catchy phrase that prompted some insightful journaling! You can also add one of the My Crush™ Holiday Happenings badge buttons for a finishing bit of flair. Use Shimmer Trim to attach one of your many Christmas to-do lists. Embellish your list with stamps and stickers while you’re at it. 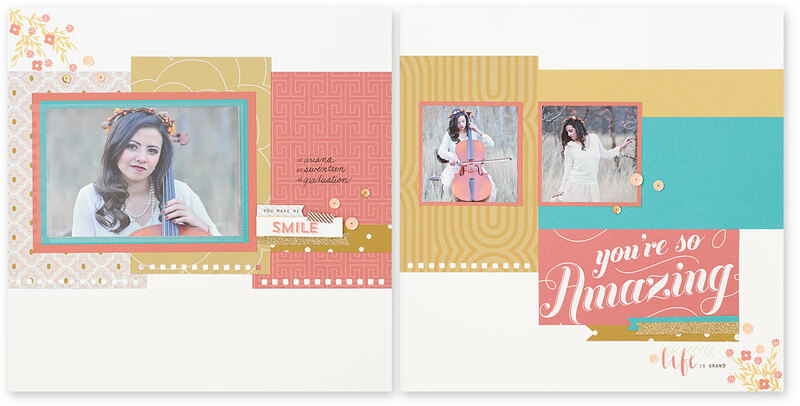 Capture miniature moments and photos using the 2″ x 2″ slots in this page protector. 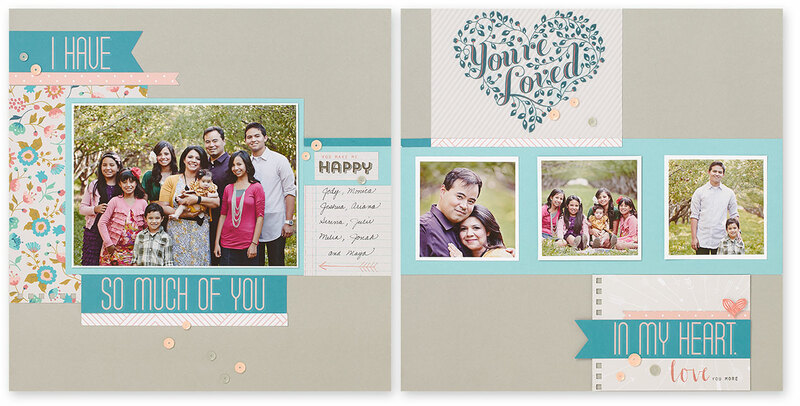 Some page protectors are perfect for slipping in photos along with the Picture My Life™ cards from the My Crush™ Holiday Happenings assortment. The My Acrylix® Magical Moment stamp set is the perfect match for this book! Use it to document each day in December—or just the special ones. Let your child write their Christmas wish list on the “Dear Santa” page. You will cherish those handwritten words for years to come! The alphabet stickers from the My Crush™ Holiday Happenings assortment make great headings and titles. This friendly quail is plump enough for you to jot down events of the season on her lovely calendar. Trust us, come December, you’re going to want this beautiful book by your side. With it you’ll be able to track the memories moment by moment, day by day, and then, after everything is over and it all melts away like snow on a rooftop, you can take out your book and remember once more. So, what will your December hold? 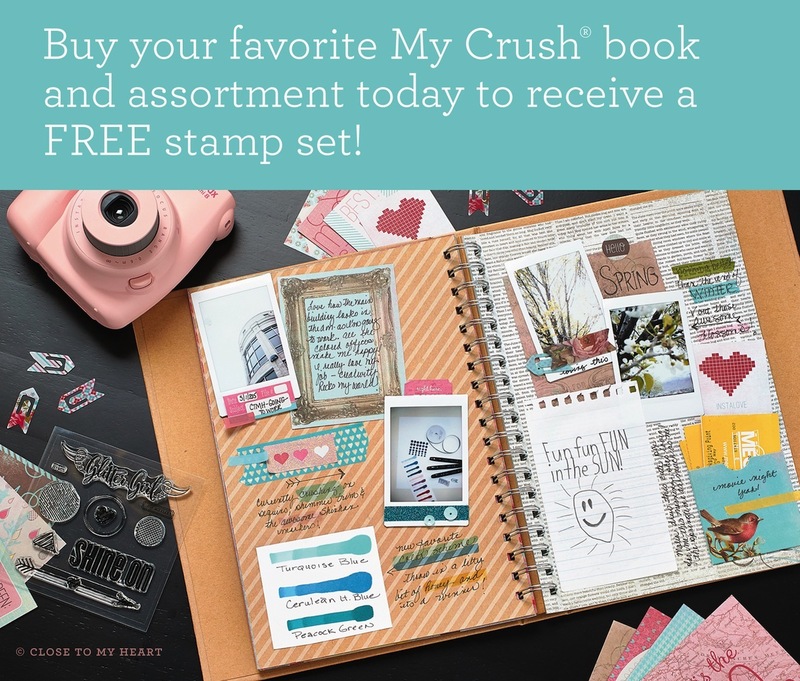 For inspiration on using the My Crush Holiday Happenings book in an alternative fashion, read our newest post.